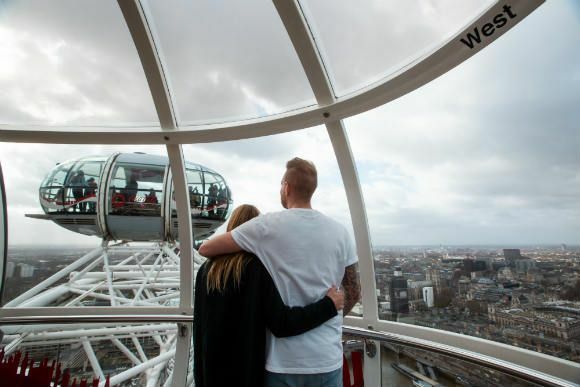 Buy Coca-Cola London Eye and River Cruise tickets at City A.M. The London Eye offers spectacular views of London from high above the River Thames. Highlights include Big Ben and the Houses of Parliament, St. Paul's Cathedral, Tower Bridge and the Tower of London. 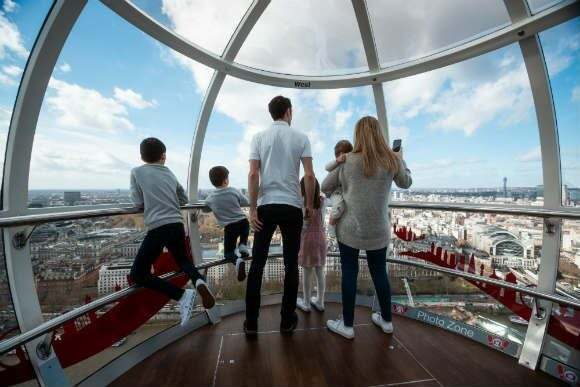 Includes: 30-minute rotation, 40 minute London Eye River Cruise, Entry to 4D Cinema experience, Samsung interactive in-capsule guides. Exit the station following signs for the South Bank. Child age 3 – 15. Children under 16 years old MUST be accompanied by an adult (18+) Children under 3 years old go FREE but will require a ticket, please ensure that this is requested when booking. 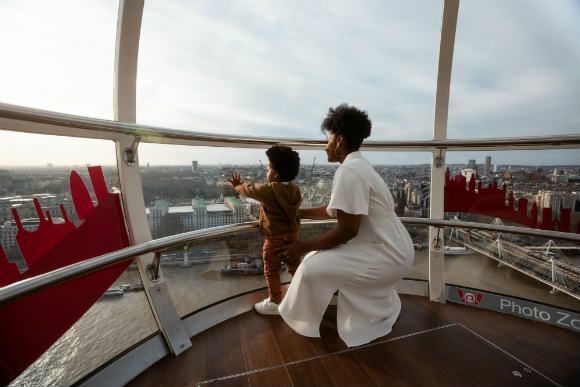 London Eye open daily: 11am - 6pm. River Cruise Schedule: 11:45am, 12:45pm, 1:45pm, 2:45pm, 3:45pm & 4:45pm (last departure). On arrival present your voucher to the operator at the pre-paid ticket desk. You will then be issued with two separate tickets, one for the London Eye and another for the River cruise. Audio commentary is available in French, Spanish, German, Dutch, Italian, Russian, Japanese and Mandarin. T-loops system is also available. The River Cruise is closed for annual maintenance from 2nd January 2019 until 22nd January 2019.